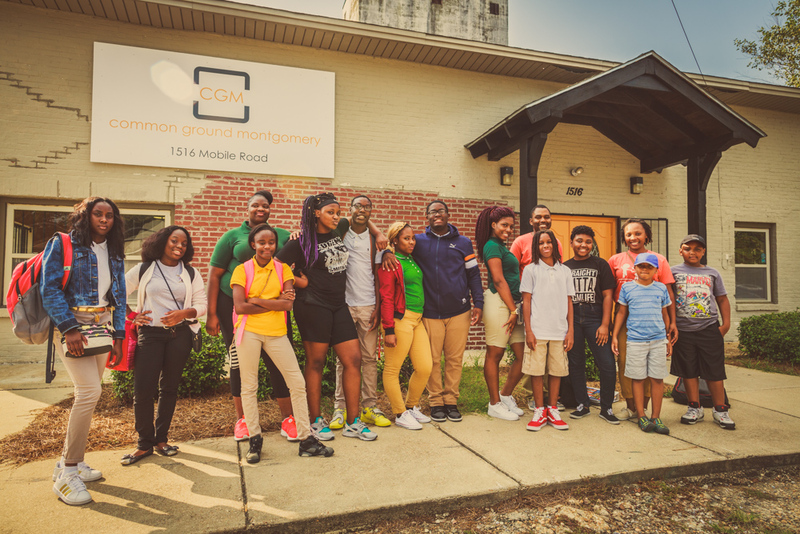 CGS' sister organization is Common Ground Montgomery (CGM). It was founded in 2006 by Bryan Kelly in the greater Washington Park community of Montgomery, Alabama. The community has a unique place in the Civil Rights era of the history of the United States, with ties to meeting places for the planned Montgomery Bus Boycott of the 1950s and a stone's throw from Rosa Parks' home. And yet, even being 50+ years past, Washington Park is still suffering from neglect and systemic injustices. So Bryan Kelly and his family, along with Kevin King and his family, moved into the neighborhood. What started with bible studies, food drop-offs, and transportation with football and baseball teams, has morphed into an after school program focused on developing leaders, a Pre-K, a mentoring program, a summer camp, financial literacy classes, home renovations, and more. Bryan would be the first to tell that he didn't move into the neighborhood to save it. He found out from living there that he was being saved by moving into Washington Park.